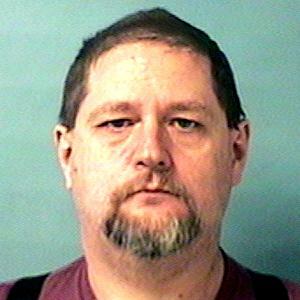 Scott Allen Metzler (44) is a white male 5'9, 210lbs with brown hair and blue eyes. His clothing description is unknown. He has a buzz cut and a goatee. His vehicle is a 2003 Gold Dodge Durango with an Indiana license plate of UDX505. Vehicle has some damage to the right quarter panel. Scott left his residence armed. Missing endangered adult Scott Metzler was last seen by his father at his residence in Mesa at around 0800 hrs this morning. Scott has not been seen or heard from since. His father stated that Scott has been very depressed lately as a result of a death in the family and his recent divorce. His father stated that when he came home he noticed that a shotgun and one shotgun shell were missing from the home. He also noted that Scott had left behind several of his most cherished personal belongings and labeled them for his kids. No P.C. for arrest. Scott is a missing endangered adult only at this time. Please check welfare and inform Mesa Police Department of any contact with Scott.